Want in? Special fortress gates, June 29 – July 6. The fortress gates are open… June 29 – July 6. Enter forts, ignore ownership: June 29 – July 6. No defensive buffs. 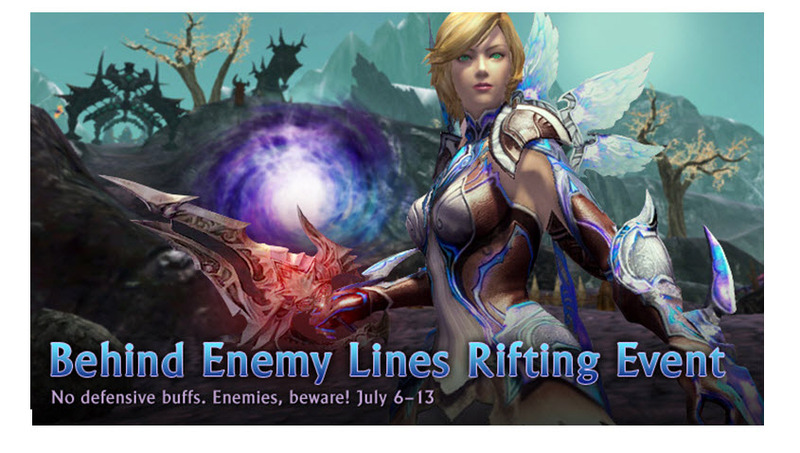 Play the rift, July 6–13. Buffs? What buffs? Play the rift, July 6–13. No defensive buffs, no excuses: July 6–13. Wait less, play more: July 6–13. Play again! 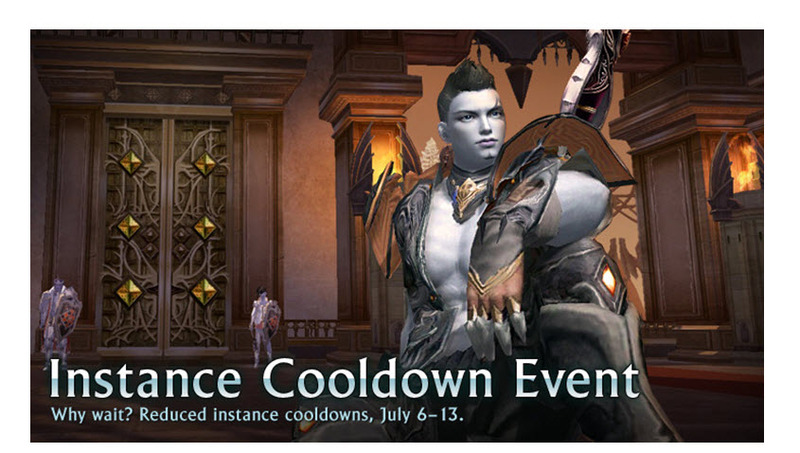 Reduced instance cooldowns, July 6–13. Why wait? Reduced instance cooldowns, July 6–13. Sick of waiting? Get back in faster, July 6–13. I just finished The God Catcher, by Erin Evans; what a page-turner! To be honest, I'm not much of a Forgotten Realms reader. "Another dwarf with an axe?" I think. "Life's too short." But I was immediately engrossed in the story of the main character, who not only isn't a dwarf with an axe, but is about as far away from pseudo-Tolkien as it's possible to get. She's smart, and resourceful, and not at all defenseless. But don't worry: it's not a Chick Book. There's enough flinging-of-pointy-objects to keep everyone interested. You also don't have to be an FR reader, or know anything about Waterdeep (the city in which the story takes place), to enjoy this book. The God Catcher has a lot going on: political intrigue, a coming of age story, some old-fashioned "gather the party and FIGHT!" and more than one mystery to be solved. The characters are great. I dare you to find one you don't like---even the villains are complex and interesting. If you enjoy fantasy, or stories with strong, believable female characters, you've got to read this. Evans is fast becoming one of my favorite authors. I can't wait to read her next book! Although it may not be apparent from my Doc Martened, haphazardly coiffed, black-manicured demeanor, I am indeed a daughter of the old school. I was raised by a flock of maternal relatives to honor the codes of Old Southern Womanhood: "Cakes are done, people are finished" --- my mother; "Ladies never appear in the sun without a hat" --- great-aunt Laura; "I could never sleep on sheets that have not been ironed" --- great-aunt Laura again, that diva of propriety; "Never return a plate empty" --- Nanny, my grandmother. This is what Nanny means. Right before Christmas, neighbors in my new neighborhood brought over a decorative Christmas plate full of tiny, beautifully prepared holiday sweets. You know what I mean: the little squares of fudge and mint-icing-topped brownies and tiny jelly-centered sugar cookies shaped like ornaments --- all homemade. They were wonderful. I ought to be subsisting on vitamins and water to make up for having eaten all of that lovely neighborly holiday cheer. Hence my dilemma: Never return a plate empty. The clean plate has been sitting in my dish drainer for weeks now, because I know I can't go off in search of "Bonnie and Greg, in the old house on the cul-de-sac" (I wrote it down, so I could find them to return the albatross plate) before I've created some homemade offering with which to fill the plate before its return. But what? I turned to Mark Bittman's How to Cook Everything. Mark has shown me how to make everything from Country Captain to Tapenade, so I trusted his description of how relatively simple it would be to turn out a pound or so of Baked Spiced Nuts. Nuts were acquired. Cookware was located. Oven temperatures were set. Alas, barely three minutes into Mark's suggested ten-minute baking time, the smell of burnt nuts flooded the house. As you may (or may not) know, once you smell the nuts, they're toast. Sure enough, these babies were cinders. Undaunted, I moved on to Sauteed Spiced Nuts. I melted the butter over low heat, warmed the curry, salted and peppered to taste, and stirred faithfully. (Well, ok, I did spend some time losing at Facebook Scrabble, but it was only a few minutes!) But again, in nothing near ten minutes, the house filled with the appetite-killing aroma of blackened nuts. Sadly, I am as poor a toaster of spiced nuts as I am a scrabble player; I concede defeat. Nuts in the trash, I've decided to go back to my roots: The Southern Living Cookbook has a recipe for gingerbread cake that I know I can manage, and I also know will pile a gift plate high with big, golden squares of fragrant goodness. When the nuts hit the trash, southern girl, you know who’s got your back. Enter a world of perpetual twilight, where the only thing you can be sure of is that nothing is what it seems. Can you outwit the Hand of Silence and defeat the Raven Knights to claim your birthright? Welcome to GAMMA WORLD, 150 years after the Big Mistake. Don’t worry about the nuclear wastelands, alien technology, or swarms of flesh-eating cockroaches. When you're traveling with an empathic plant, a pyrotechnic giant, and a hawkoid with a laser cannon, what could go wrong? COME ON, YOU MUTANTS! DO YOU WANT TO LIVE FOREVER? Encrypted by my own hand on this 53rd day of the month of Nemn, in the Year of the Iron Sky. Delivered into the keeping of the Varyx House of the Winter Tree. Greeting, Most Honored. I am directed by Fist Abrask of the Oldest House to declare myself to you as I pass through the region controlled by the Varyx House. I am Thorn, cleric of the Raven Queen and Finder of the Hand of Silence. I am seeking a thief. My search has brought me to the town of Limnal, where I expect to spend two or perhaps three ten-days offering my services as a cleric and a healer, while I continue my track of the apostate Thief of the Name. While my track has not yet yielded conclusive evidence, it is my belief that the Thief passed through Limnal some moons ago and departed on a trading vessel bound for the port of Ashton on the Stone Sea. Fist Abrask communicates to you her courtesies and requests that you extend to me such assistance as I require to smooth my track. Enclosed with this letter is a Mark of Passage from the Oldest House. As instructed I will provide you with the outline of my path, for the Hand knows the tracker and the track are forever entwined. My family was one of the oldest of the remaining aristocracy of Esovel, and they nurtured dreams of empire. When I was very young, they struck a bargain with the Shadar-kai in order to obtain the use of the Sword of Unmaking. The sword, they believed would gain them a position of ascendancy among the remaining tiefling houses and a place from which to launch their new empire. They made a deal with the leader of the Shadar-kai faction that possessed the sword, a woman named Ras'k. In exchange, they sent their only child, me, to Ras'k as a guarantee of the sword's return. Their plan failed. I was stranded in the Shadowfell, a hostage of the Shadar-kai. I never knew the details of the plot my family hatched, and indeed I no longer remember their names or any details of my life in Esovel. I do know that Ras'k sent a group of Raven Knights to Esovel to recover the sword. For reasons I did not then understand, and have come to believe were also yet unrevealed to Ras’k, she neither killed me nor sent me back to the broken remnants of the one-proud houses of Esovel. Perhaps she imagined that I would be ransomed, or would prove to be of some value to my family's enemies. Perhaps she had only a sense that I might one day be of use --- to my knowledge, Ras'k has never been motivated by compassion. Whatever the reason, I was sent to live with the initiates of the Order of the Winter Tree, where I eventually became a novice. When I reached adulthood, I was ordained a priest of the Raven Queen, and my path and the track of the Thief began to draw together. Ras'k finally found a way in which I could be useful to her. Ten years ago, she ordered me to report to an unmarked temple, where learned that I was to serve the Hand of Silence as a Finder, and become one of the shadowed trackers in service to the Raven Knights. There, I learned of the Hidden Name and of the one who had stolen it. Over the years, I worked the track to uncover the identity of the Thief, and to feel the path of his movements. During this time, I fell in love with a Raven Knight. In the years that we were lovers, I used my sense of the shape of paths to help him guide his own. Jav’d rose quickly among the ranks of the knights to become the commander of the Dranyx Riding. I believed that Jav’d’s path and mine were cleanly matched, until the moment I discovered that he had betrayed me. You will remember the appearance of the scions of the eldest houses of Esovel: among my own people, I am considered comely, even beautiful. My shape is not the pale, gaunt elegance of the Shadar-kai, however. Jav’d walked a path far more hidden that I had known. The blow was, of course, doubled. That, for years, Jav’d had counterfeited his affections in order to benefit from my gifts was misery enough, but it was paired with the knowledge that my reading of the paths had been so badly wrong. Fist Abrask has disciplined me to understand this lesson in humility, and to learn that my feel of the path is warped by my own interest. Since this lesson, I have embraced the proper coldness required of a Finder. I also tried, unsuccessfully, to kill Jav’d. This of course was a grave breach of my service to the Raven Knights, and merited the usual punishment. Fist Abrask chose not to have me undergo the Trial as far as death, however, and has instead bound me more tightly to the path of the Thief. While the Raven Knights seek the Thief openly, Fist Abrask sent me away from the Shadowfell and into the world to search for the Thief of the Name in a way that the Knights cannot. In this way, my physical appearance, so different from that of the other members of our order, has been brought into the greater service of the Raven Queen. So, I travel the world, to all appearances an itinerant cleric. If asked, I tell those I meet that I am a priest of the Order of the Winter Tree (true enough). But I keep secret my connection to the Shadar-kai, and my mission for the Hand of Silence to find the Thief and send him and the Hidden Name back to the Raven Queen by the most expedient means: death. This concludes my duty of advisement. The Oldest House enjoins you to silence, and vigilance, as ever. In The Beauty Myth, Naomi Wolf examines the images of female beauty promoted by the media. Intentionally unrealistic, intended to set a standard so pervasive that all women will measure ourselves against it but so high that most of us will never achieve it, this impossible woman is unrealistically thin but muscular, with large breasts, lustrous hair, and unwrinkled skin. Even though these images have been cropped, digitally altered, and airbrushed, the “beauty myth”---that all of us should look like this---persists. The effect of the beauty myth on women is devastating. We’re starving ourselves to be thin. We’re submitting to unregulated, medically unnecessary surgical procedures in ever-growing numbers. At a time when women still earn a fraction of a male dollar, we’re being convinced to spend a significant portion of our incomes on diet aids, surgery, and “beauty products” whose advertising claims are subject to the very loosest of FDA oversight, if any at all. And, even worse, we’re becoming estranged from one another. The beauty myth defines beauty as a zero-sum competition: if only a few can win at the beauty game, there’s a huge incentive for us to remain constantly aware of who the competition is and how we rank, and little reason for us to treat each other with grace and compassion. Since signs of age don’t fit the beauty myth, older women become invisible in the media and to other women. Men become our judges. The result is women at war with ourselves and critical of each other over the ways in which we “fail” to be beautiful. Why has this happened? Wolf proposes a conspiracy theory encompassing the advertising and cosmetics industries, the medical establishment, politicians and federal bureaucracies, and the military-industrial complex. This is the portion of the book that I find least convincing. However, Wolf gives what is, for me, a simpler explanation: women who are happy with the way we look don’t spend $52 for an ounce of “age-defying creme” or $750 to have botox injected into our foreheads. The industries that depend on selling “beauty” products to women have a tremendous stake in keeping us dissatisfied with the way we look. These industries buy the ad space and commercial time in the media outlets that promote the beauty myth. Textbooks are designed by the publisher to convey a large amount of information in a visually accessible format. The original hardcopy of a textbook will usually contain formatting, color, and image cues that are often lost in the ebook conversion process. Textbook conversions should be checked for clarity of formatting, accuracy of content (particularly formulas), readability of images, and ease of use. The QA process does not involve proofreading the conversion against the original text (except for math or science textbooks, for which the formulas only, and not surrounding text, are checked against the pdf files). The average R1 audit requires 2 hours (although some files take less time and other more); the average R2 audit requires 45 – 60 minutes; R3 and subsequent audits can usually be done in 15 minutes. When you review textbooks, look for readability and consistency. The goal of textbook QA is not to make every textbook look alike; the goal is to ensure ease of use and internal consistency.